September is one of the nicest months of the year to visit Barcelona. The tourist-heavy crowds of the peak summer months have calmed down, and the locals are back from their lengthy August holidays, meaning the city feels “lived in” again – and not a mere Gaudi-themed amusement park. The temperatures also become more manageable this time of year, and while there is a chance of rain (see below), there’s still plenty of warm weather and sunshine to enjoy. 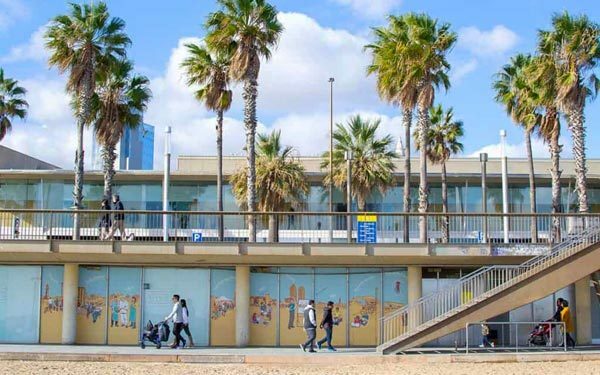 To help you make the most of the month, we’ve rounded up some fun and fresh ideas for things to do in Barcelona in September, so you don’t miss any of the great stuff going on. La Merce is an annual festival celebrating one of the patron saints of Barcelona, the Virgin of Grace. The official feast day is the 24th, and the celebrations take place a few days before and after this date. It’s been going since medieval days, and today there are 600 completely free events held throughout the city! Don’t miss a castellers – human towers – performance. 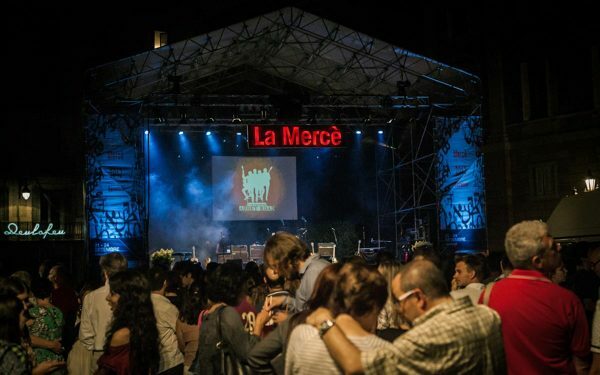 More info about La Merce in our events calendar. BAM stands for “Barcelona Accio Musical”, and it’s a series of concerts to accompany the Merce festival (above). 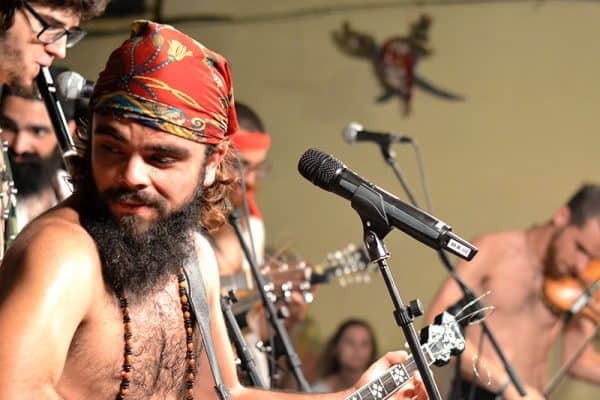 There are venues all over the city, and the music tends to be indie rock, though you’ll also find electronic and pop artists. The concerts are all outdoor, and – even better – free! 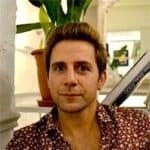 Pop into your local tourist office and ask for a programme, or you should be able to find more info on La Merce section of Barcelona’s city website, which we linked to in the above paragraph. More often than not, the weather remains great in Barcelona well into September. With the mix of warm temperatures – average 27 degrees Celsius by day and 19 by night – and reduced crowds, as everyone gets back to school and work, there’ll be plenty of space for you to put down your towel in prime sunbathing position. Early autumn is also a lovely time to get out into the wonderful rolling hills of the local wine country. 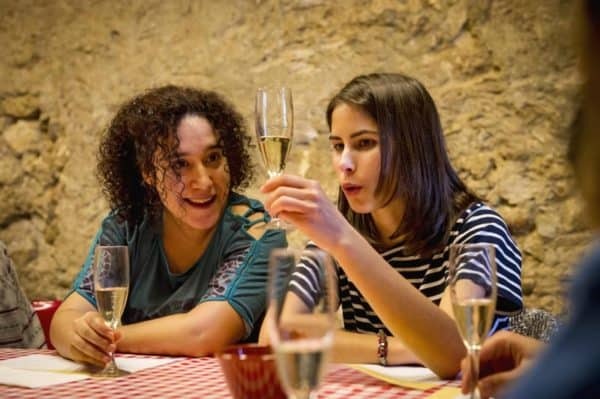 The Penedes are full of first rate wineries, big and small, many of whom specialise in producing Cava… although you’ll find excellent table wines as well. For a splash of luxury hire a private tour guide who will pick you up from your hotel and take you to two boutique vineyards. Or check out the Create Your Own Cava activity, which is incredible value for money. 5. Visit Gaudi’s Casa Mila by Day… or Night! Gaudi’s famous mansion, sometimes referred to La Pedrera (‘The Quarry’) thanks to its undulating facade, is a highlight for most culture-orientated travellers thanks to its unique architecture, preserved apartment of the period, and stunning rooftop, ornamented with the architect’s trademark chimneys. You can read more about the roof, interior and buying skip the line tickets for visiting by day. But did you know, you can also visit Casa Mila by night? 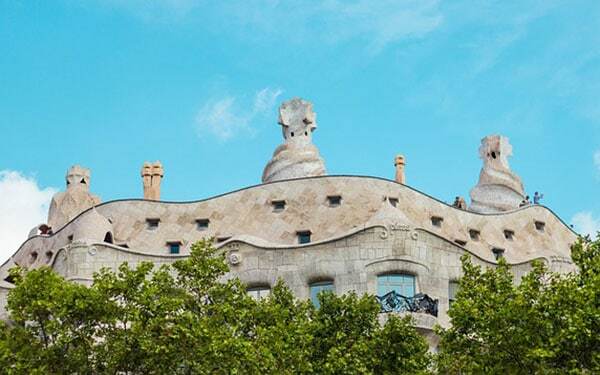 Sign up for their ‘La Pedrera Origins‘ show and you’ll get an evening tour of the mansion, before heading up to the roof for an audiovisual show with a glass of Cava. One of the more original things to do in the Catalan capital! Barcelona is a city best explored by bicycle… at least in our opinion! The terrain is flat, the climate is clement, and there’s plenty to see outside the touristic Gothic Quarter. 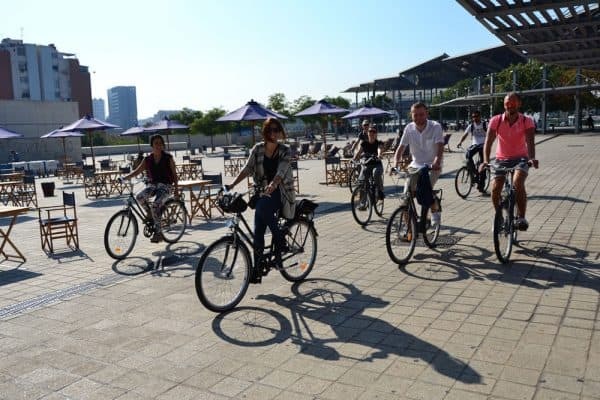 Specialised in alternative and sustainable tourism since 2010, Steel Donkey Bike Tours pride themselves on showing travellers the real Barcelona, revealing hidden parks and plazas, hip local hang outs and offering insight into both contemporary and historic times. Recommended by Lonely Planet and with great reviews, if you want to see something a bit different from the usual itinerary look them up. The name comes from the fact that the donkey is the national animal of Catalonia. Known in Catalan as the “Diada Nacional de Catalunya”, this festival on September 11th celebrates all things Catalan. Traditionally, it’s a day for cultural events, though they’re often overshadowed by the independence demonstrations and marches held in the city centre by Catalan nationalists in recent years. Depending on who you ask, either 500,000 or 2 million people showed up to last year’s demonstration. Either way, it’s not an insignificant number. 8. Go Wild on a Boat Party! 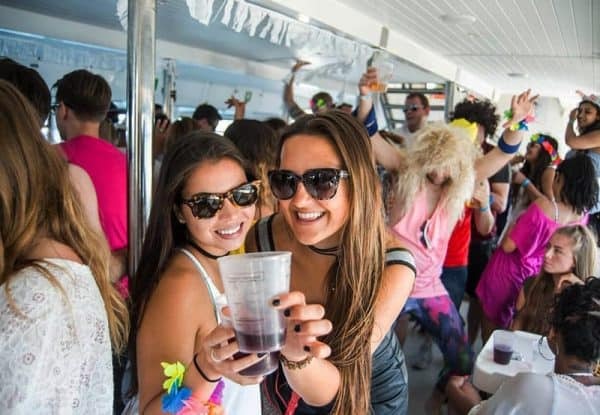 The last of the Barcelona boat parties set sail this time of year, so if you’re young and carefree and fancy spending a couple of hours at sea swigging sangria and dancing away then sign up here! A great way to meet fellow travellers, and take advantage of the city’s coastal location. Starting in late July and going into September, the Mas i Mas festival fills Barcelona with concerts. All sorts of music gets played, from soul to classical to pop and rock to even a spot of flamenco. There are over 160 concerts in total, so there should be something to suit your fancy. With the colder weather about to kick in, this is your last chance to grab an oar and enjoy an amazing day of kayaking on the Costa Brava. 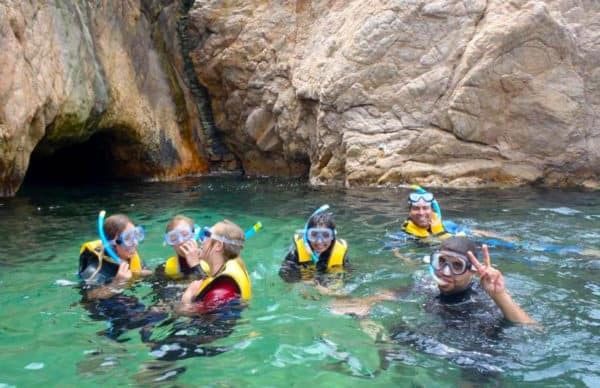 Our partners organise transport from Barcelona city centre up to Sant Feliu (a bit over an hour away), every day at noon, after which you board your kayaks and, with the help of a guide, explore the stunning coves and bays of the local coastline. They’ll even be a chance to snorkel and swim in some of the caves. The price is just €65 with everything included. More info and bookings here. All year round, Barcelona’s neighbourhoods take turns hosting their versions of a neighbourhood block party. They’ll typically involve a mix of local traditions and a modern-day block party. Not surprisingly, these parties tend to be more popular in the warmer months. In September, the districts of Barceloneta, La Ribera and Poblenou all hold their “festa major”. Barcelona’s coolest rooftop bars are usually found hidden inside swanky hotels, but you don’t have to be a staying customer to use them in most cases. Just head inside, go straight for the lift, and head to the top floor. These bars tend to open during the warm weather months, with most closing in September or October until the springtime. There’s a great list of the best rooftop bars over at Barcelona Navigator. Barcelona is full of foodie things to do, and hip local tours are multiplying year by year. One young company that specialises in both authentic tapas tours and regional craft beer tasting is the appropriately named Tapas & Beers. 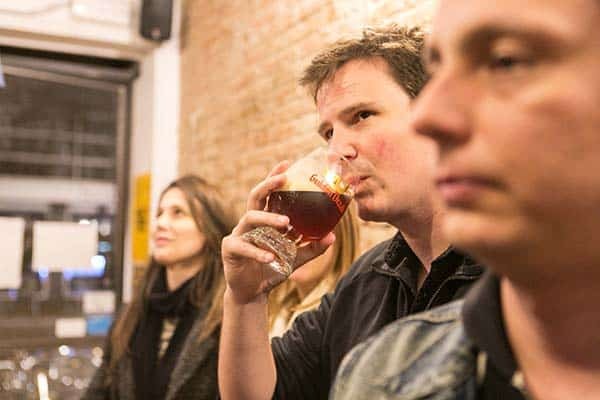 Their food tour takes place in the awesome district of Gracia, whilst their beer tour is led by an expert brewer. Who doesn’t occasionally dream of becoming a model? Exotic locations, great clothes, millions of Instagram followers… what’s not to like? 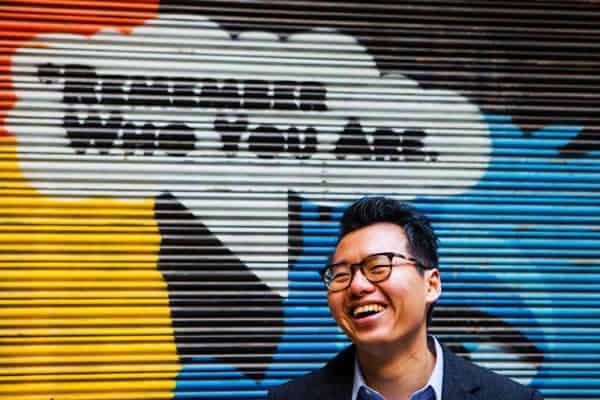 Shutter Kings Barcelona sadly can’t promise to turn you into the next big thing on the catwalk, but they can capture your best angles in some of the city’s most iconic locations. Book one of their photoshoots for you, your family or your group of friends and you’ll get 30 professional portraits to take home with you as the best possible souvenir of your travels. September and October tend to be some of the wettest months in Barcelona, with an average of 5 rainy days per month. Depending on where you come from, that may not be too damp – but maybe start thinking about indoor activities you might like to do just in case. Here’s a list of great museums to get you started. Still here in October? Then check out more things to do in autumn! Also we’ve written the definitive post on how to spend your evenings in Barcelona. Jessica was born in England and grew up in California before moving to Seville to study Spanish. 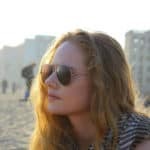 She now lives here in Barcelona, where she works in communications, studies for her masters and still finds time to update her award-winning blog Barcelona Blonde – as well as being a regular contributor to Barcelona Life! Hey Constanza… if we didn’t mention the date, then you should click on the link we provide to find it.